Incorporated with Easy-to-View High Definition Liquid Crystal Display and dedicated keyboard offering ease of use and highly reliable experience. Ratio beam optics allows for more accurate and stable measurements. • Ratio beam optics allows for stable measurements over long periods of time. Validation function and self-diagnosis function are installed as standard. 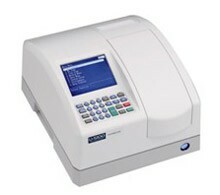 • Wavelength accuracy, noise level check and self diagnostics function are included. Other functions included as standard are : DNA Quantitative Analysis, Multi Wavelength Quantitative Analysis, Measurement in Multiple Wavelengths. 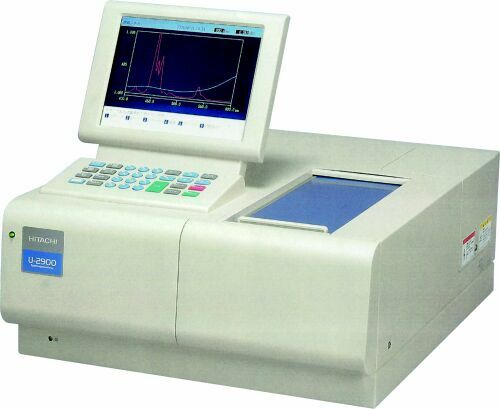 • Not only quantitative analysis by absorbance ratio of two wavelength and standard solutions, but also wavelength scan and time scan functions are installed as standard. • Up to 5 methods can be saved. Optional PC Control using UV Solutions. 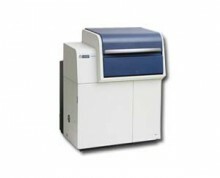 • Offer added functionality for Data Storage, Spectra Overlay and Color Printout capabilities.